You have probably come to the conclusion that your mind is very complicated. In one way, your mind is vastly intricate and perplexing beyond anyone’s comprehension. But in another way, your mind is actually quite simple. The deeper and higher parts of your mind operate on a pretty basic level. It’s the conscious part of your mind that gets so twisted and tangled – making your mind appear to be complex and problematic. When you examine your mind and you see what it is that you desire, you’ll find that your actions and thoughts all make sense. I’m a simple guy – I like to keep things simple. Here is a simple way to understand how your mind is operating. Your mind knows how to get what it wants. And if it doesn’t get it’s way, it will turn into a brat that throws tantrums until it gets what it desires. A good analogy for you to imagine is you are driving a 5-year old in the car, and you get into an accident. Nobody gets hurt, but it is very scary. A few days later, you tell the child that both of you are going for a drive. So the child throws a tantrum. Screaming, crying, kicking – doing everything he can to not get into the car. It seems irrational for the child to act like this – but you can see what he is doing. 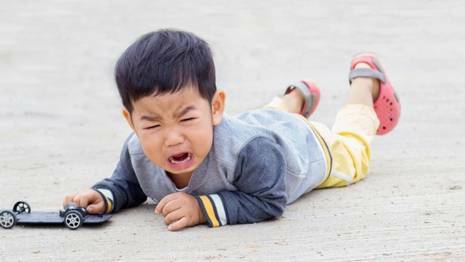 By throwing the tantrum, this 5-year old has just solved his problem – he will never get into a car accident again. But what’s this illogical kid going to do for the rest of his life? Is he going to throw irrational tantrums every time someone asks him to get in a car? The deeper and higher parts of your mind act just like this illogical and irrational child. A few years ago, a woman around 25 years old came to see me to help her control her weight. She was very overweight – probably over 300 pounds. After speaking with her and getting to understand her situation, it became obvious why she was so overweight. About 5 years before, she had gotten her heart broken. It affected her very deeply – she was very hurt. So her subconscious mind came up with the solution – “If I gain hundreds of pounds, I won’t be attractive, no one will fall in love with me, and I won’t ever get my heart broken again.” She didn’t come up with this strategy on a conscious level. The deeper parts of her mind found a simple solution. If you are having trouble controlling your actions, your beliefs, or your thoughts, do your best to examine your own mind to find out what it is that this irrational 5-year old child within truly desires. Get control of that 5-year old brat. Very interesting you share every nice knowledge about the human brain.Thanks for sharing this amazing knowledge.